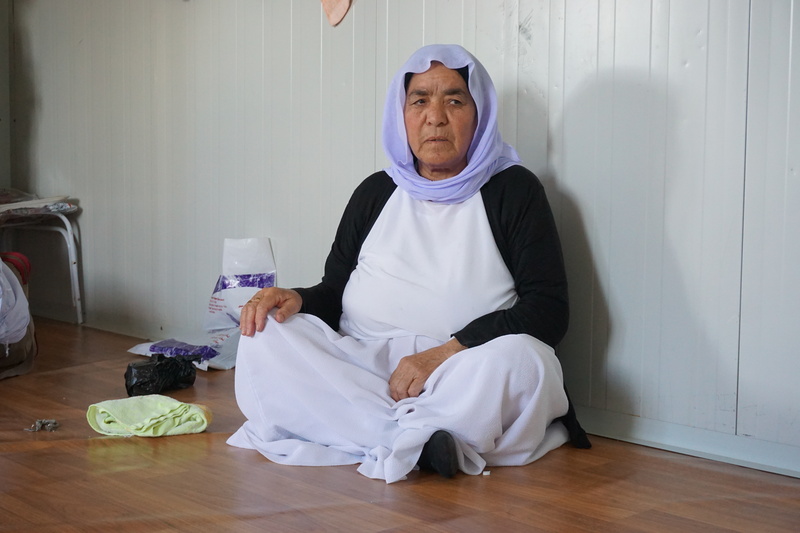 Wadha is a 66 year old widowed women who foresaw the imminent danger posed by ISIS in 2014 and escaped to Kurdistan before most of her fellows Yazidi. She has made herself a makeshift home in a poorly equipped tent in Dawoodia Camp among 4000 other IDPs. Despite being forced to live in such cramped and messy conditions, Wadha will not allow her home to be anything less than immaculately clean. As a visitor you can’t help but notice how nice and well organised the small living space is even though she is sharing it with 6 other people, four of whom are children. Wadha has to live off the 16 USD a month she receives as governmental IDP support, but it is not enough because Wadha is still paying for her husband’s death ceremonies from one year ago. Wadha recently had to undergo an expensive operation to remove 8 painful kidney stones. The cost of it would have been unsustainable for Wadha but HandSAP managed to support her with the expenses of such essential operation especially thanks to your donations!